A page from a 1970 children’s book that helped to dash my childhood hopes. This entry was posted in Anthropology, Culture, Science and tagged anthropology, homosexual, Native Americans, single mothers, transgender on December 11, 2012 by The Anonymous Anthropologist. 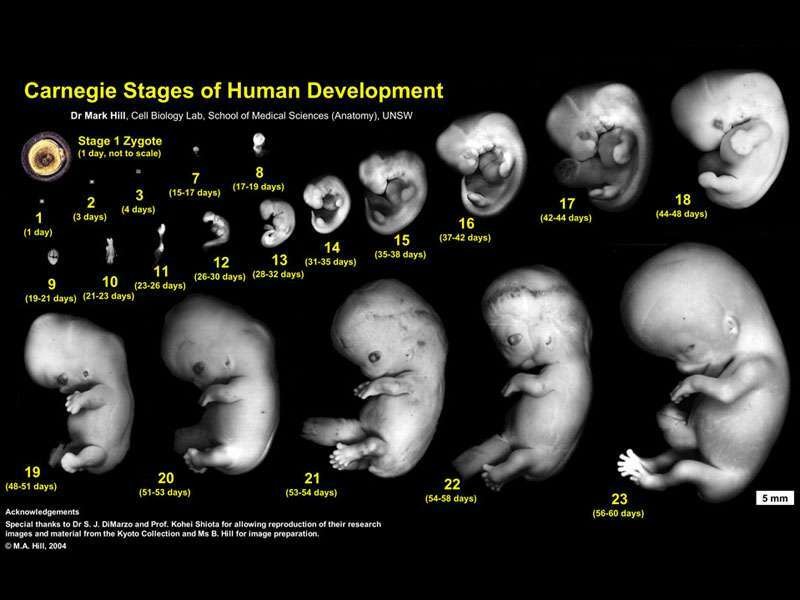 Fetal development from 0 – 8 weeks. Why not dive right in? In the second podcast, I discuss birth control and abortion from an anthropological perspective. Every young woman should listen to this, regardless of her position on the matter. This entry was posted in Anthropology, Culture, Economics, Politics and tagged abortion, anti-abortion, birth control, child support, pro-choice, pro-life, single mothers, women’s rights on September 29, 2012 by The Anonymous Anthropologist.